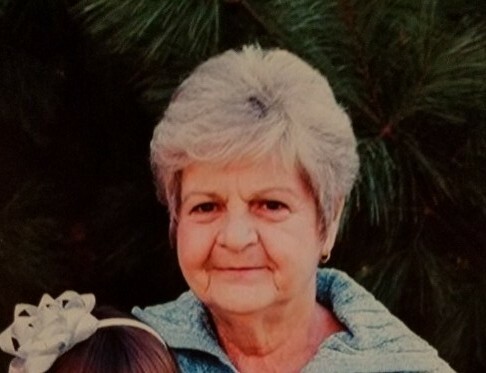 Donna Wojcik, 74, of Munster passed away Saturday, September 8, 2018. She is survived by her loving husband Ron, beloved children Karen (John) Parsons, Brad (Diana) Wojcik, beloved granddaughter Megan Parsons, dear sister Bonnie O'Connor and nieces and nephews. She was preceded in death by her parents Richard and Rose Fitzlaff and brother Rick Fitzlaff. Visitation will be Tuesday, September 11, 2018 at Hillside Funeral Home, 8941 Kleinman Road, Highland, IN 46322, from 4:00 pm - 7:00 pm, with the funeral service immediately following at 7:00 pm. Additional visitation Wednesday September 12, 2018 from 9:00 am to 11:00 am with a burial to follow at Chapel Lawn Memorial Gardens, Crown Point, IN. Donna loved caring for her beloved granddaughter Megan and her fur baby Bella. She also enjoyed gardening, cooking, crocheting and watching old movies.